Although Cape Liberty serves New York Harbor, it is actually in Bayonne, New Jersey. The cruise terminal occupies a portion of a long man-made peninsula that juts out into the harbor not far from the Statue of Liberty. Authority to create a cruise port in the old base. 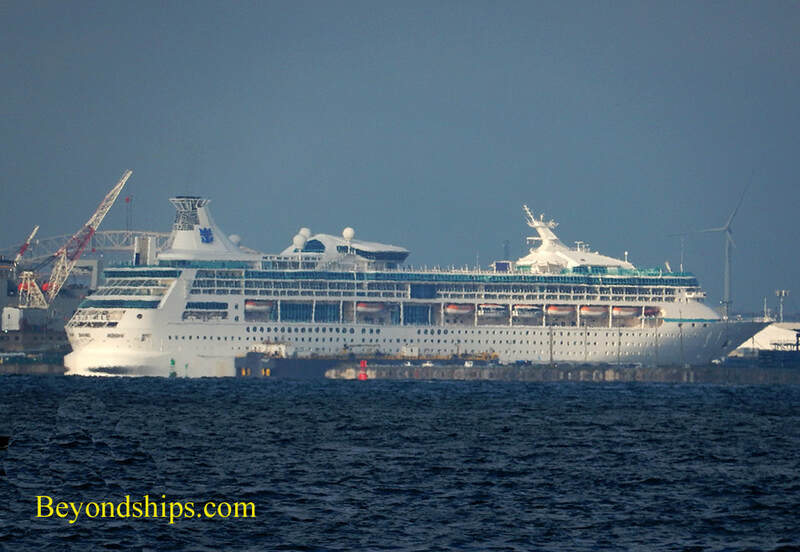 sailing by Voyager of the Seas. It was located in a converted warehouse at the far end of the peninsula. It was not a very satisfactory facility as once guests finished checking in they had to board a bus that took them to the ship. 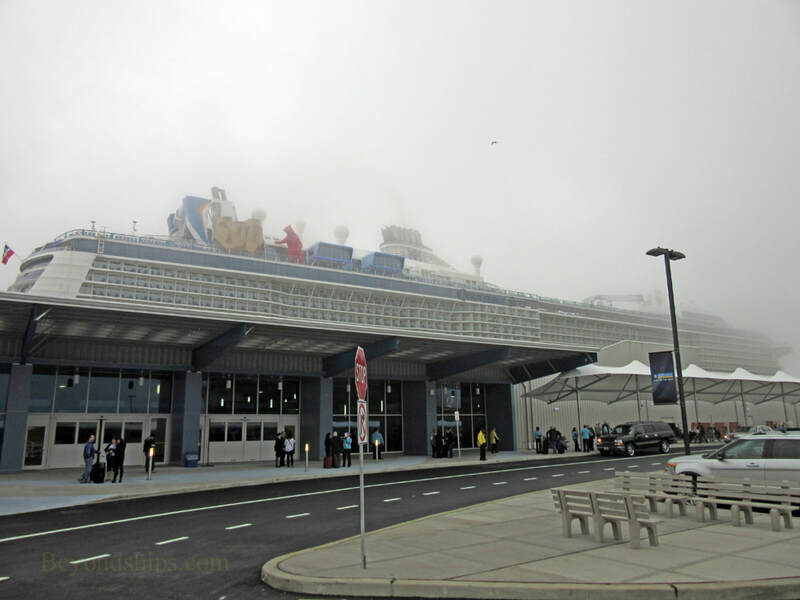 All of that changed in 2014 when a state-of-the-art cruise terminal opened at Cape Liberty. Housed in a new building close to the ship, guests now walk to and from the ship. Outside the terminal is a large paved area used for dropping off passengers. This area is also where chartered buses and taxis wait to pick up passengers after a cruise. Nearby, is a multi-level parking facility. Cape Liberty is close to and accessible from the New Jersey Turnpike. 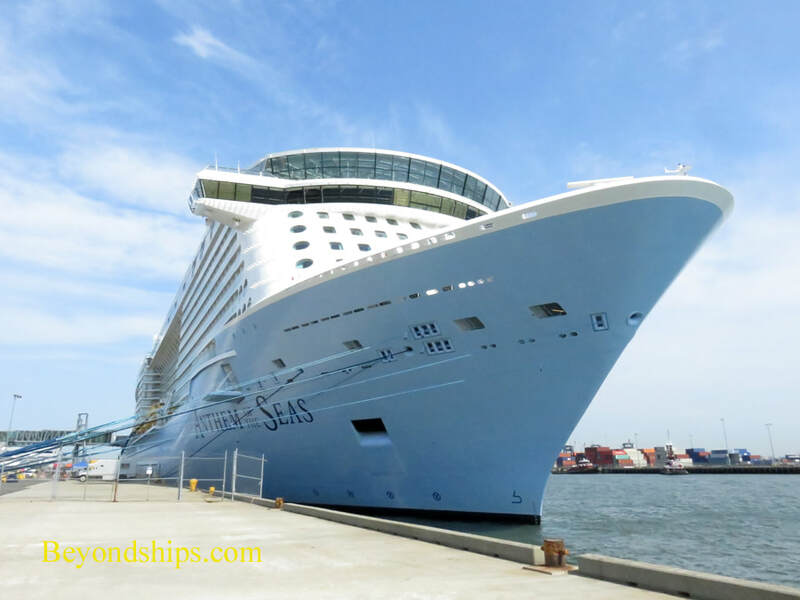 The cruise port is relatively close to Newark Liberty Airport so if you are flying in or out, Newark will be the most convenient of the area airports. Getting to Cape Liberty from Manhattan by public transportation is somewhat complicated. You have to take the Port Authority PATH subway or one of the New York Waterways ferries to New Jersey. Once there you have to take the Hudson-Bergan Light Rail to the Bayonne 34th Street station. Next, you have to call one of the local taxi companies and request a cab to take you to the terminal. Although you will be able to see the ship from the Light Rail station, it is still a considerable distance and it is not feasible to walk. seasonally. On very rare occasions, ships from other lines berth there. Above: The entrance to the terminal building. Above: Adjacent to the terminal is a memorial to the victims of the 9/11 attacks. It was donated by Russia. 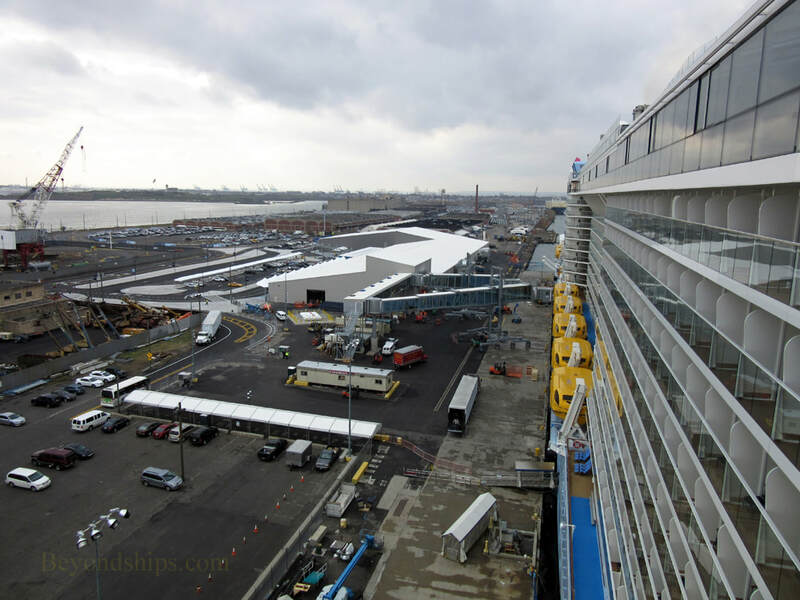 ​Below: Anthem of the Seas at Cape Liberty. 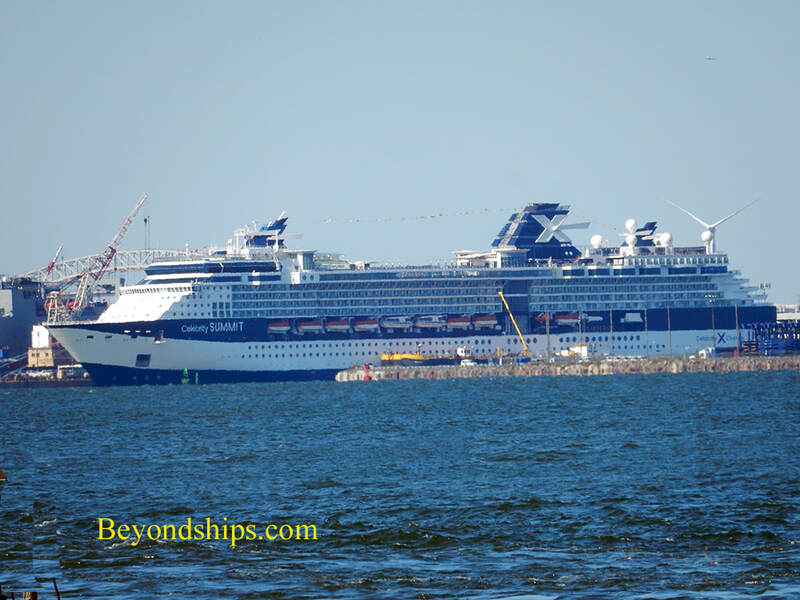 Above: Celebrity Summit at Cape Liberty. ​Below: Vision of the Seas during a call in Bayonne.